Contrasting portraits of success between decades. Super Fly and Shaft. One more job? There’s always one more job. A actual case of trying to get out of the business. Well, ‘a’ business anyways. Super Fly and the infamous score. 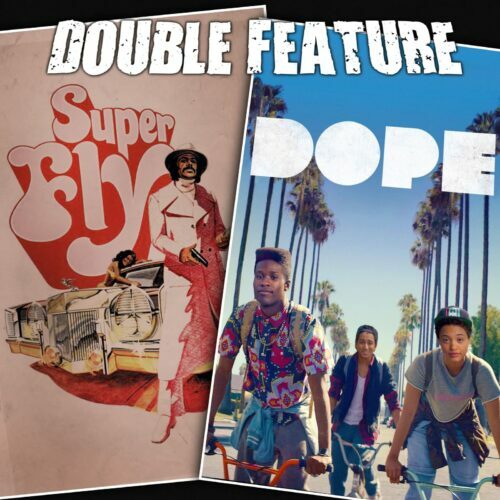 Or Superfly soundtrack or whatever. If the Taco emoji wouldn’t destroy the feed or website or whatever, there would probably be one here. People who never update their phone wouldn’t be able to see the taco, so there’s also that to consider. HEY. What didn’t you see Dope? It was really, really great. The inevitability and unlikeliness of Dope. That 90s throwback film sort of happened, hooray! Michael defends a non-existant claim in an attempt to see what it all means. This entry was posted in All Podcasts, Year 8 and tagged Gordon Park Jr., Rick Famuyiwa. Bookmark the permalink.